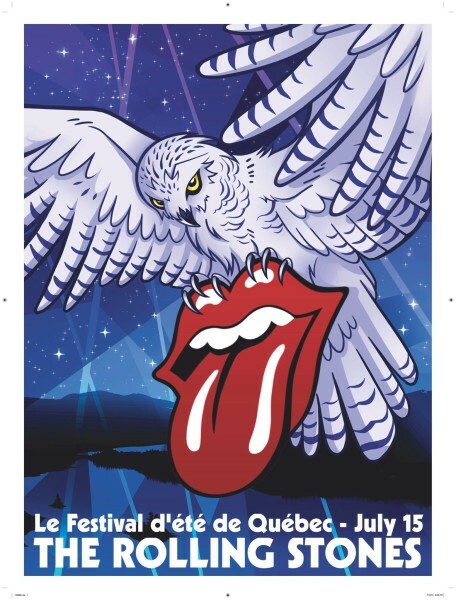 This thread is for live updates and comments regarding The Rolling Stones Quebec QC Canada 15-July-2015 show. Please tell us your pre- and post-show thoughts and comments here. Edited 1 time(s). Last edit at 2015-07-15 16:24 by bv. Heading down to the site in a few!!! Love the event shirts.. Hope I can find the merch truck...have a blast everyone!!! I'll be there in about an hour!!!! Could be a historical concert. Unlikely but one never knows. My home province, I'm sure all those attending will have a blast. Edited 2 time(s). Last edit at 2015-07-15 18:10 by Irix. What time are they expected on stage tonight? The final show of a remarkable tour. One for the ages. What are the odds that Mick is going to say some corny stuff on stage in French? Are people expecting a typical 9:30 (East coast time) show start? aka a starting time about 9 hours from this post? Perfect temperature, not too hot for waiting another nine hours or so. Have a blast everyone. Wish I was there! 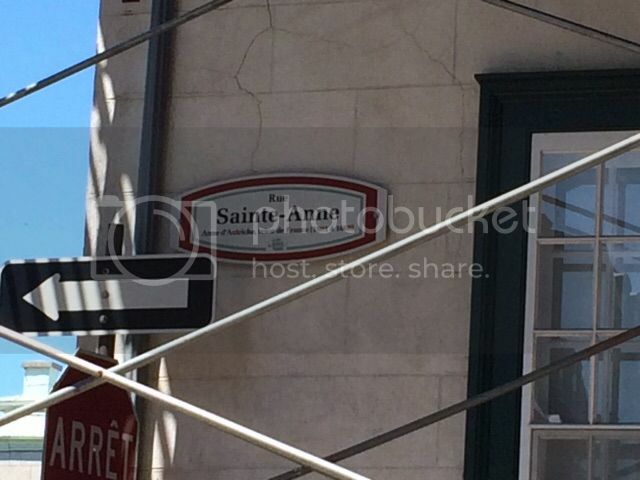 Under construction BUT...apparently they are trying to make a Saint of Me! Lovely day in Quebec City, going to be a great night! As Crawdaddy pointed out on another thread there is bound to be something special done during tonights show to celebrate the last show of an enormously successful tour. Anybody have any ideas what it's going to be? 2 encores? Special guests? A Charlie drum solo? I guess just playing a 2 hour set in a 90 minute slot will be great but somewhat expected. Maybe Mick will announce a few more US dates from the stage! They just jammed on something for a good ten minutes. At first I thought Doom & Gloom but it was something else and I don't think one of the usual warehouses. Too loud around me to make out what it really was. Is this right? not a full set tonight? Well that's what the schedule says but I'm pretty sure they will play past the 11PM curfew, I'm sure they can afford whatever fine will be assessed and it is the last show after all. But yes anything over 90 minutes will be a gift from the band. I hope they play Sticky Fingers track by track tonight, and end it with an orchestra on Moonlight Mile. I hope Mick Taylor and Bill show up and they do a five song set with the group. (And Bill shows Darryl how Miss You is supposed to sound). I hope they drop Sympathy and Tumblin' Dice and replace them with Soul Survivor and Back Street Girl. Yeah! And I hope for $100,000,000 to be deposited into my bank account by a mysterious benefactor.